JIO VS VODAFONE VS AIRTEL: These are the best plan below Rs 200 - mobilereview.online - The Ultimate resource for mobile phones reviews, specification, information. There has been widespread war between telecom companies to keep their hold on the market. All service providers are updating the old plan to make the users in their pockets and new plans are being launched. 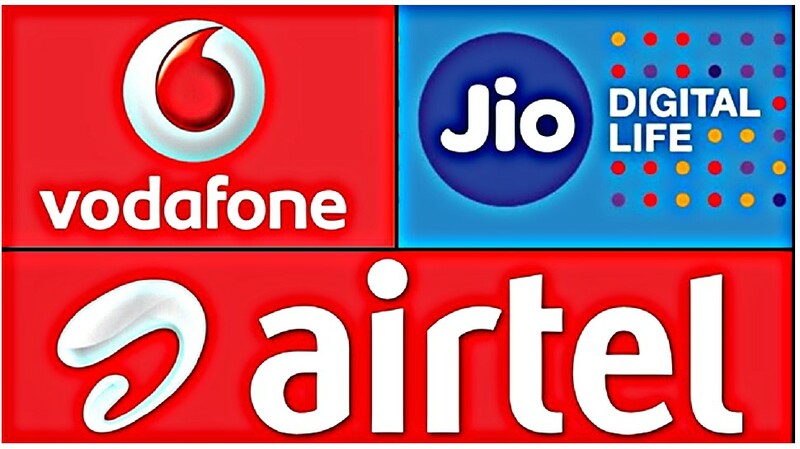 Especially, since Reliance Jio came into the market, the companies have to work hard to maintain the customers. Telecom market is fully based on data. Therefore, by revising the plan, all companies are now offering more data. In the past, Airtel and Vodafone revised the plan of Rs 199. What is Airtel's 199 rupee plan? Recently, Airtel has revived the plan with its 199 rupees. Now under this plan 1.5 GB data is available daily. The validity of the plan is 28 days. Accordingly, customers get total 42 GB data. Apart from this, local and STD Unlimited Calling is free for 28 days. 100 SMSes are also being given daily. Jio is giving 2 GB data per day under the plan of Rs. 198. The validity of the plan is 28 days. This way, users are getting 56 GB of data in total. Apart from this, local and STD unlimited calls are free for 28 days. 100 SMS is also available daily. Not only this, customers also get complimentary subscriptions for the Jio apps. Jio is giving 1.4 GB of data every day in his 149-rupee plan. The validity of this plan is 28 days. There are also Unlimited Local and STD Calling Free. Plus 100 SMS is also available daily. Under the plan, the complimentary subscription of the Jio apps is being given. Vodafone is giving 1.5 GB of data daily for 28 days in a Rs 199 plan. 100 SMS is also available daily. Everything is the same as Airtel, but the difference is that there has been a limit for calling in it. Under this plan 250 minutes a day and 1000 minutes free in one week. Customers will have to pay 1 paisa per second after the limit is reached. Vodafone is giving 1 GB data per day under the plan of Rs 169. The validity of the plan is 28 days. Daily 100 SMS and unlimited local and STD calling is free.